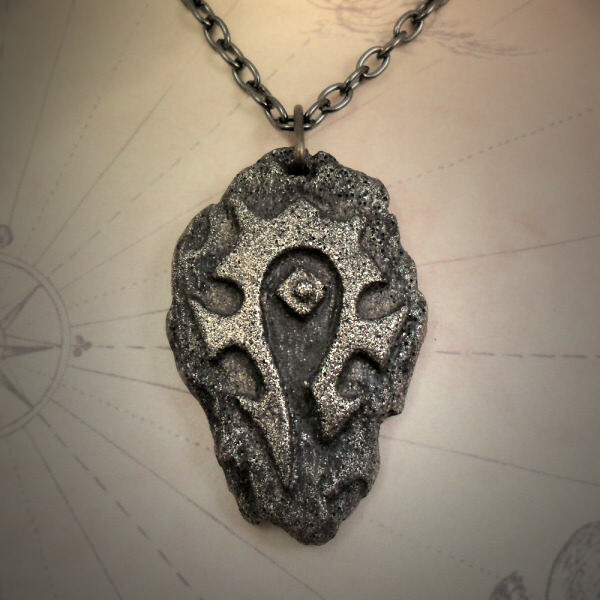 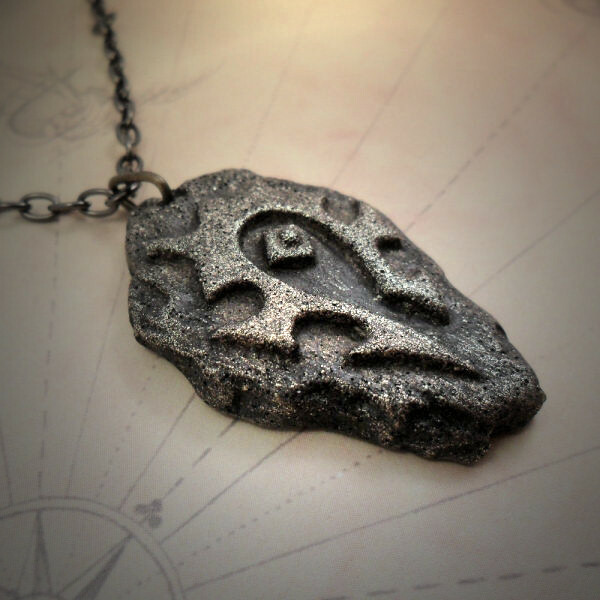 Display your allegiance with this splendid Horde symbol necklace. 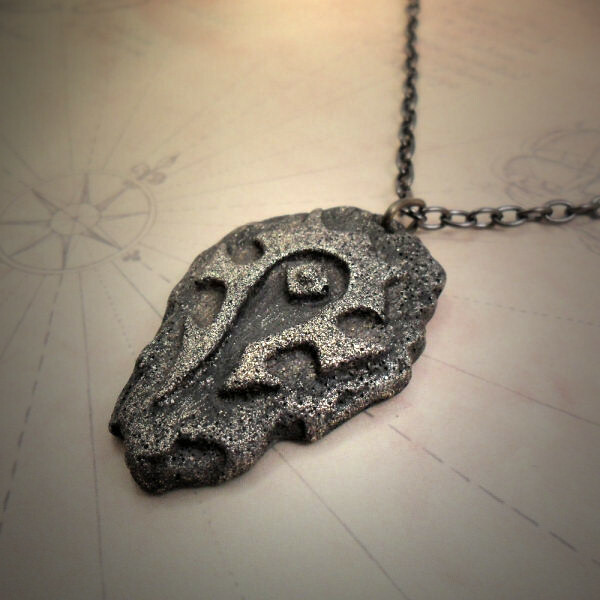 It is cast from my own original design using the 'cold casting' technique - a mixture of resin and brass. 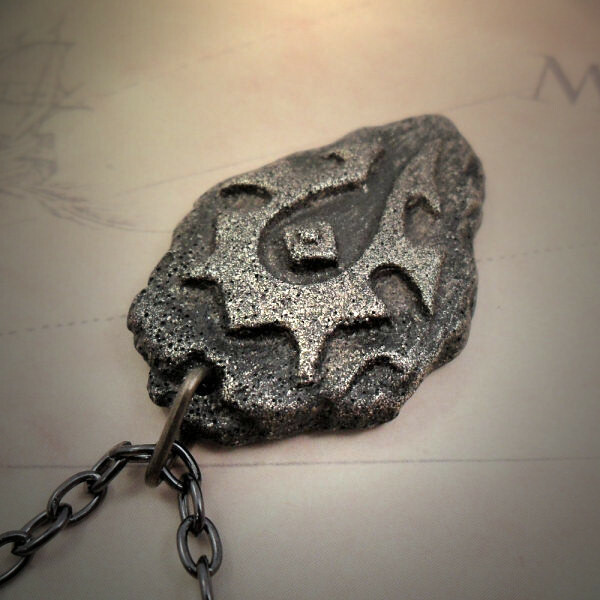 Available on a gun-metal chain, or on a waxed black cord with slipknots.